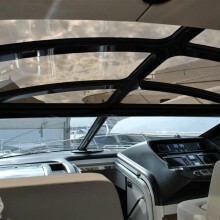 An impressive sunroof is a great way to top-off any boat and Trend Marine can offer enough options to meet every need. 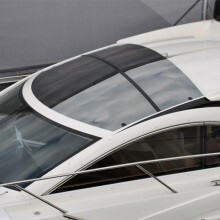 We have a choice of larger custom designed power-driven sunroof systems for larger yachts, typically 3.5mx2m. 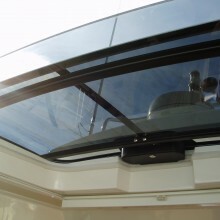 Or there is one of Trend’s sliding glass cassette sunroofs which allow the sun to flood in and are simple to build into the boat structure. The moving panel is made in-house from carbon fibre composite, allowing thin construction with low weight and high stiffness. 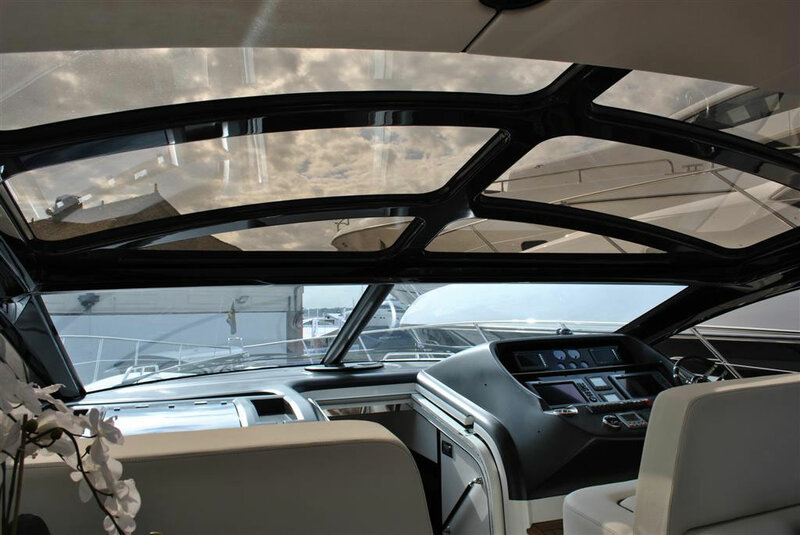 Our large custom sunroofs can be offered as fully-glazed with slender carbon framework, have inset roof windows, or be a solid panel. 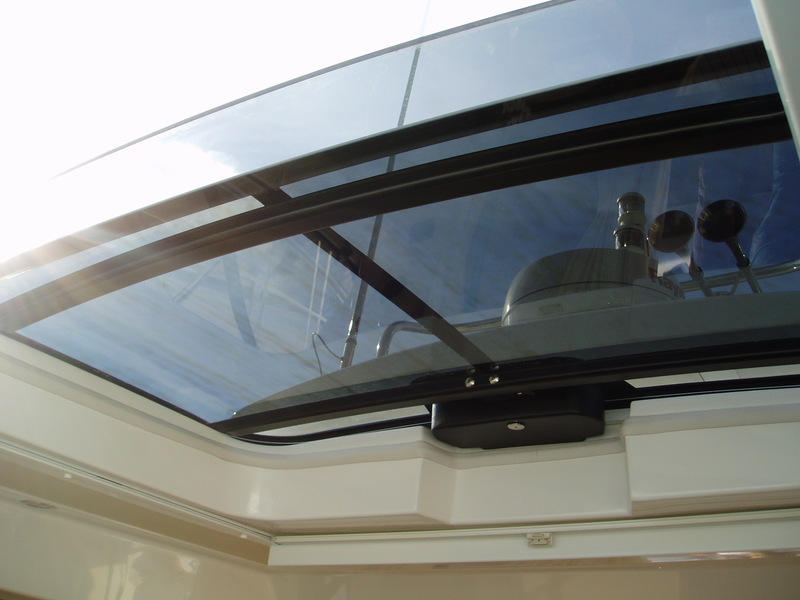 All roofs are manufactured to suit individual customer designs, fully conforming to the boat roof surface. The carbon may be gel-coated or clear-lacquered, with great attention to the detail of the visible fibres. Glazing panels can be tinted toughened glass, reflective toughened glass, or laminated glass to provide solar heat control. The panel is moved on precision stainless-steel cars, running on hard-anodised tracks. A variety of drive systems are available, including stainless steel chain drives in each rail, or via a central stainless leadscrew. An electronic controller provides soft-start, soft-stop, anti-nip torque control, and programmable drive speed. It can also provide outputs to light switches, to allow for Internal electric lighting in the panel. Drive systems can be purchased separately for customers that wish to manufacture their own roof panels, our drive systems are capable of supporting roofs up to 150kg weight. In particular demand is our new electrically operated and controlled folding canvas sunroof system which is custom-designed for individual applications. The new canvas roof system folds and stacks as it opens and features a control interface which is available in 12V or 24V versions powering an IP65 rated motor. 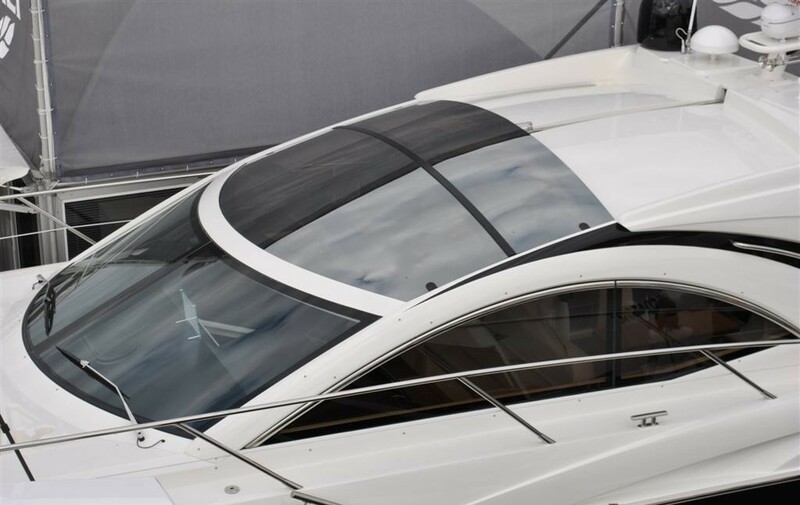 The system is suitable for yachts from 35′ to 130′, it is easy to install, furthermore the canvas roof is double-skinned and durable.